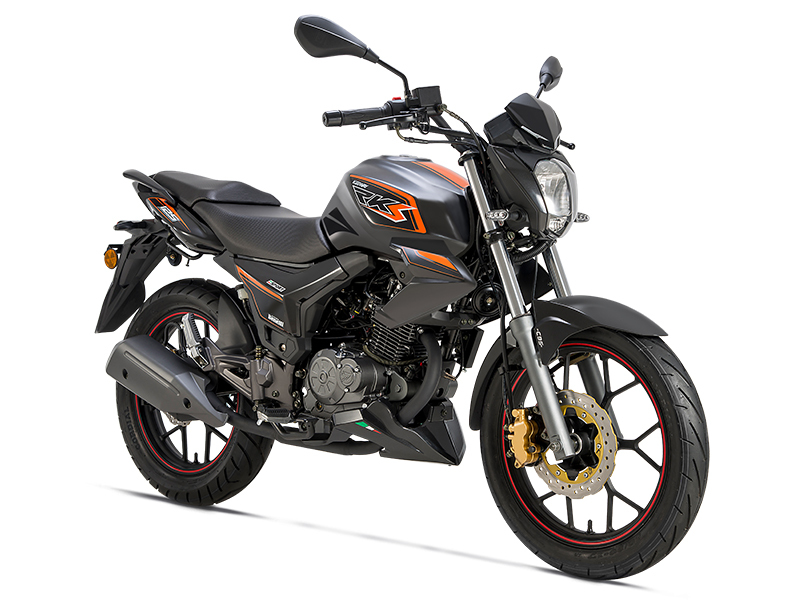 RKS 125 Sport E4 - Keeway Q.J. 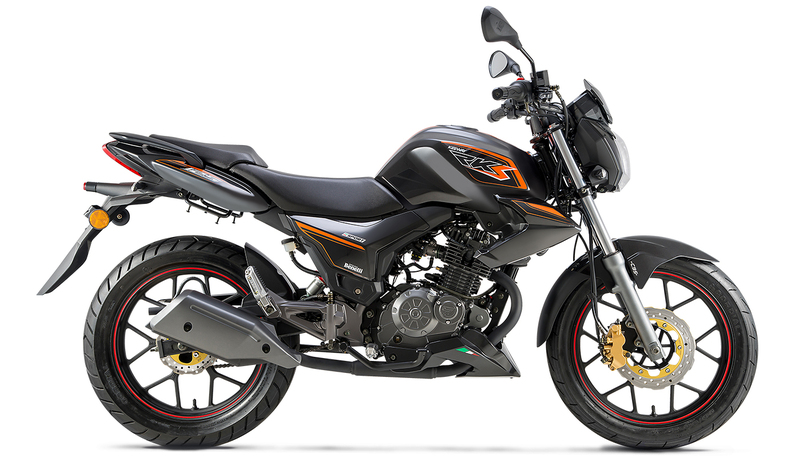 The RKS 125 Sport E4 is propelled by an eager and tractable 125cc single-cylinder, four-stroke, two-valve engine that produces 8.4kW of power at 8750 rpm. The advanced five-speed design includes such features as electronic fuel injection, SOHC, and TLI injection. A stylish and easy-to-read split display features the best of both worlds. RPM is tracked in the familiar and visceral fashion of a traditional needle, while speed, time, fuel, and other vital information are immediately relayed on a high-tech digital display. 17-inch, six-spoke, cast alloy wheels shod with grippy 90/90-17 (front) and 120/80-17 (rear) tires rail the RKS 125 Sport E4 around corners with confidence and the powerful twin-caliper 240mm front disc and 190mm rear disc brakes slow the action with complete control. Ergonomics reflect a design fine-tuned for the optimal blend of practicality and pleasure. Seating position is relatively upright for long commutes and all-day rides but sporty enough to keep its rider perfectly placed to dominate twisty back roads.